The cradle features a spring loaded mechanism that holds your device firmly in place and allows for it to be quickly added and removed. 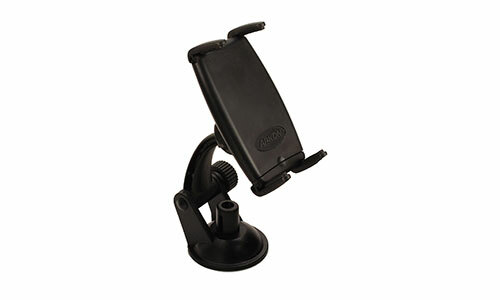 The adjustable legs keep phone buttons and ports free. 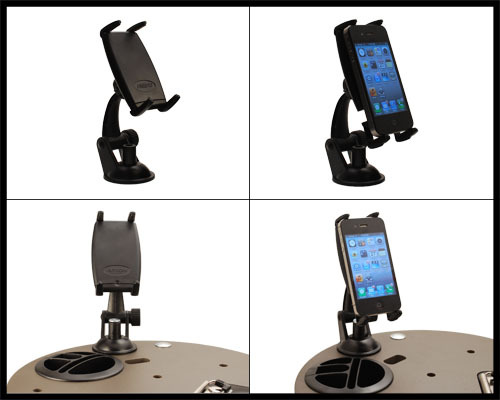 The swivel feature enables you to rotate your device 360 degrees, allowing for portrait and landscape view.